A lot of people choose self-catering holidays as they have the freedom and flexibility away from normal meal planning. Apart from perhaps making a quick breakfast ahead of a long day out, most guests at Ballynoe House will plan on having lunch and possibly dinner out in one of the many fabulous pubs, cafes and restaurants in the area. Although, in Clonakilty, you don’t need even to have your own breakfast on hand as there are many outlets offering anything from coffee & a croissant to the “full Irish” of locally made and reared produce, such as at the Farm Restaurant in Ashe Street. 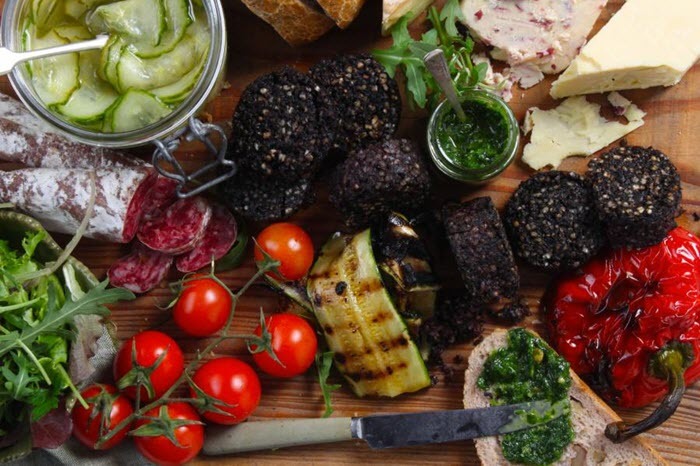 As West Cork is a renowned foodie destination, eating out is possibly one of the main reasons for choosing to stay in the Clonakilty area. Self-catering guests at Ballynoe House can, before or during their stay, order their supplies online from the award-winning Scally’s SuperValu supermarket in Clonakilty. Tesco also deliveries in the area. Guests also have the advantage, especially if arriving out of hours, to have their supplies delivered to the premises ahead of arrival. As the owners are on site, deliveries can be received at the main house and unpacked ready, with cold and frozen goods placed in the fridge/freezer in the appropriate let. When you’re on holiday, you can let other people take the strain by buying excellent prepared foods at Scally’s, Lettercollum and many takeaway restaurants. Outside catering for a special event, or for just having the evening in, suitable for the individual and family, can be provided by Ardfield’s own Beano & Ginger, Clonakilty’s Richy’s Restaurant or Abacus Catering. Ballynoe House has plenty of space for a marquee or outdoor picnic function. If you simply want to take a break from driving, what could be nicer than an evening stroll into Ardfield village along part of the Wild Atlantic Way, take in the ocean view and eat at the Mountain House Steak & Seafood Bar. 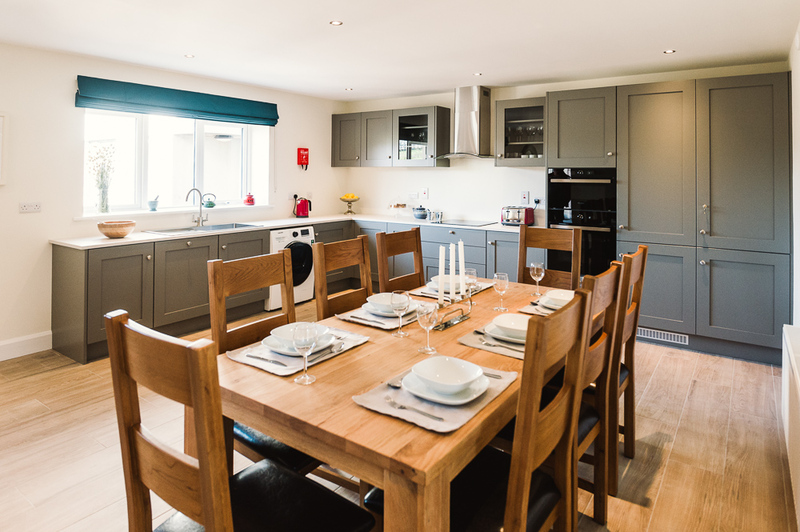 Each let at Ballynoe House has a bespoke fully-equipped kitchen for those who want to chillax at home, to prepare meals or simply pop a takeaway into the microwave.